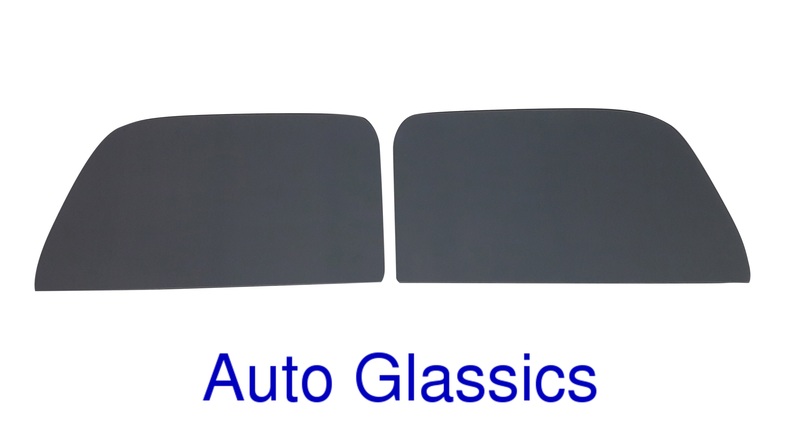 ​This listing is for a new pair of door windows for your 1935 or 1936 Ford Pickup Truck or Panel Delivery. These doors are available in clear, green tint or smoked gray. Please give us a call at 541-579-0372 prior to purchase to confirm your preferred color. If you have any questions or are unsure about the fitment of this glass with your specific vehicle please give us a call at 541-579-0372 prior to purchase so that we may verify that this is correct for your application. We also offer individual windows and complete sets for other models in separate listings. Feel free to inquire. This item ships within the continental USA only. Please allow 10-14 business days for fully insured delivery through FedEx. We ask that you please inspect this item within 24 hours of receipt. If there are any issues or damage please notify us immediately at 541-579-0372. Actual items shown. Your choice of clear, light green tint or smoked gray. At Auto Glassics LLC we strive to provide the best customer service before and after the sale. Please do not hesitate to call us at 541-579-0372 7 days a week with any questions or if there are any other items you would like listed that we can provide. We offer curved and flat glass as well as rubber seals and accessories for many makes and models from the 1930's to present. We offer a 30 day return policy on items returned in new and sellable condition. Refunds will be initiated after the item has been inspected and will be for the purchase amount less the shipping cost.